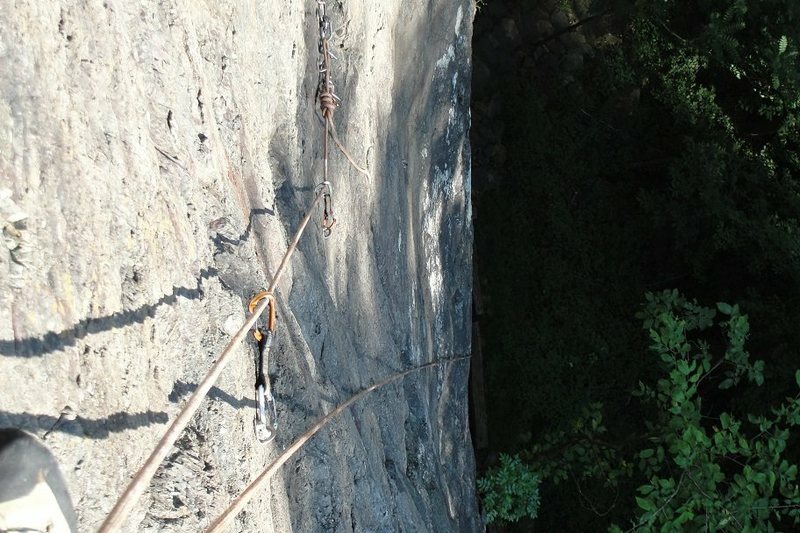 This delicate slab climb doesn't require much strength, but instead asks for and rewards precise footwork. 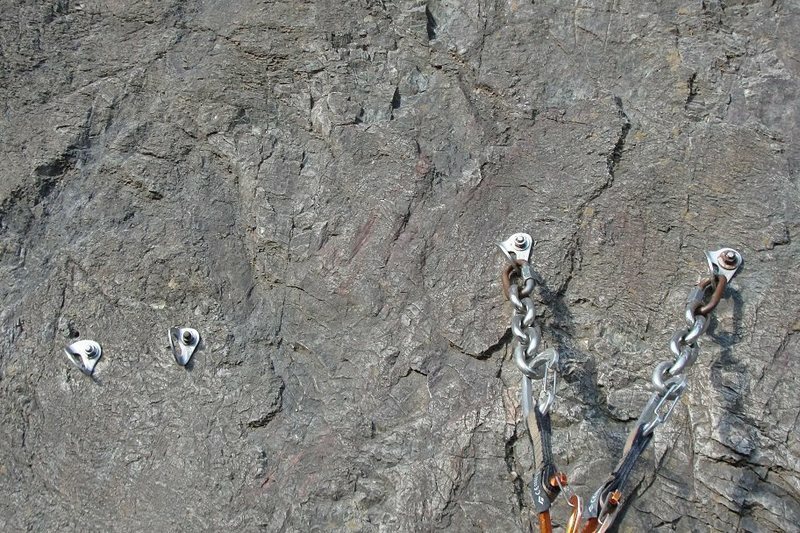 The crux comes 2/3rds of the way up pitches 1, past bolt 6. 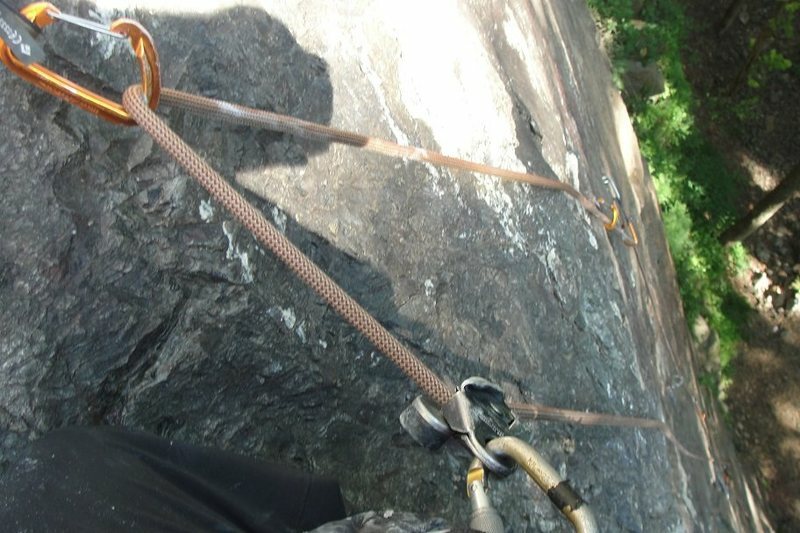 Master this climb and you'll be ready for inscrutable slabs anywhere. Yosemite and NH await. While technically 2 pitches in length, the second pitch is so short that it is a bit unsatisfying. 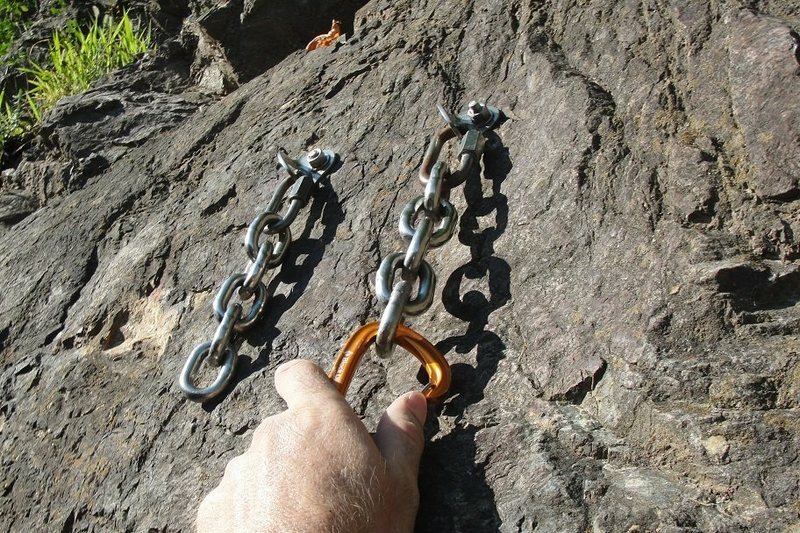 Given how this may be many Philadelphia area climbers first multipitch, you should know that the belays are not at good ledges (semi-hanging belay at both anchors), and you should know the fundamentals of multipitch rope management and anchoring. Enjoyable in late fall, winter and early spring. Probably to hot in summer. Route farthest right when facing the wall. 11 draws to the first anchor. Wear helmets! lots of loose stuff that comes off the top. 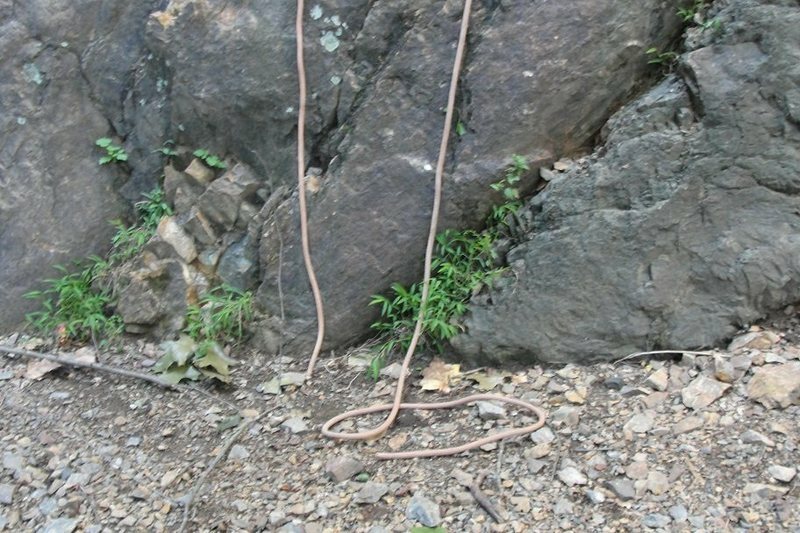 Can be just barely rapped from the top anchors with a 70 M rope. Otherwise 2 raps will be required. Lots of fun. A little sketchy at bolt 6-8, but really worth it. 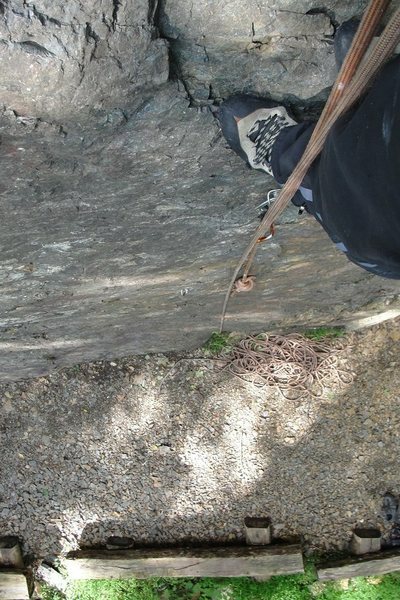 We went up with 10 draws and the lead climber had to pull a few on the way to make it. 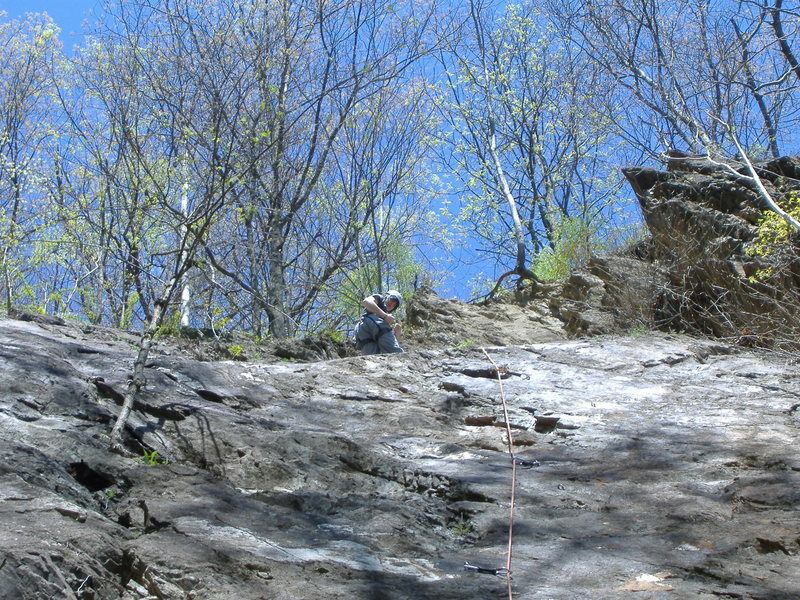 Great anchor/belay station. Christian Vanderslice at first chains. A nice option on these colder, but sunny days. 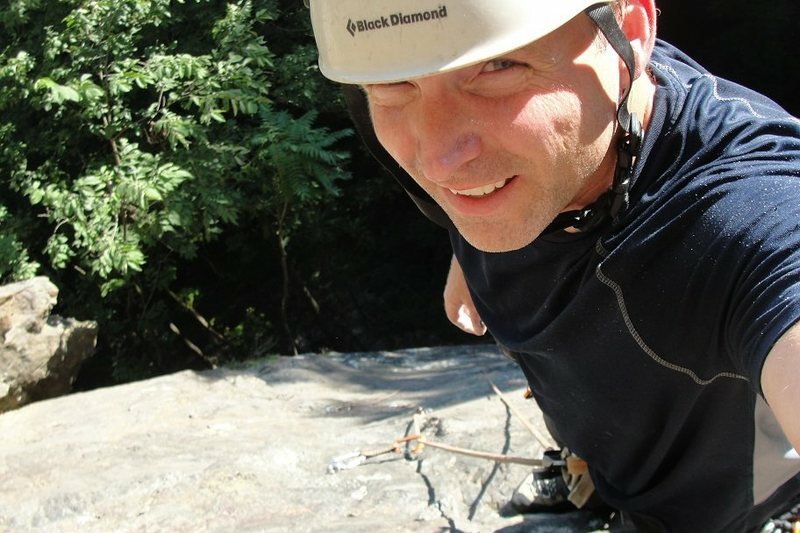 The climbing is fun - requiring technique/balance over strength. I would have given it 3 stars, but even after a few years the rock is still crumbling. As long as you are aware of it going in, it is a good time. Nice and long, I went all the way to the top in one shot (which was 15 draws, I believe - including clipping one bolt on the first anchor but not the top anchor). As an update to my last comment, either I was less observant last time or rock is flaking off from behind the hangers. There were more bolts with 1/4" or so of bolt exposed behind the hanger. 4-6? I didn't count. This was a ton of fun. In fact I was surprised how much I enjoyed this climb. 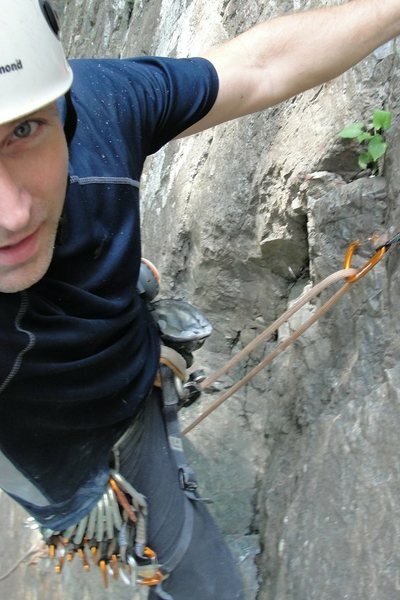 Yes there is some lose stuff but overall this climb should not be missed if you are in the area. Here are some long arms of me solo leading this classic. 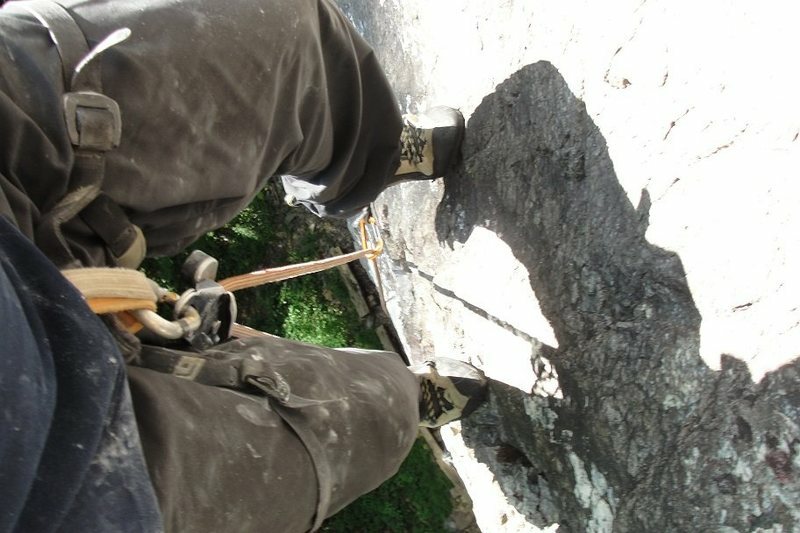 Just pass the crux. man that was so much fun.. Anchors away to pitch one.. I'm all smiles. Solo leading up pitch two with the anchors to pitch one below.